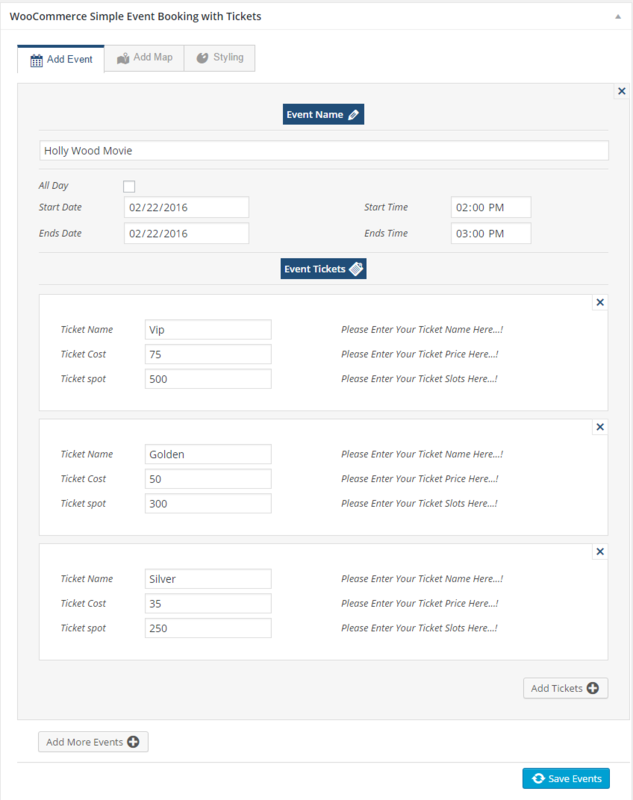 WooCommerce Event Booking plugin allows Admin to create unlimited Events and attach Tickets with nice and simple UI. 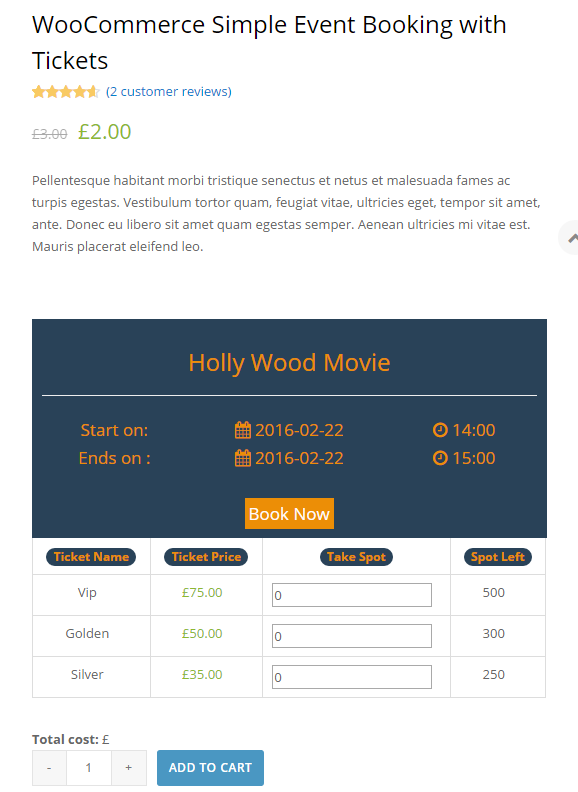 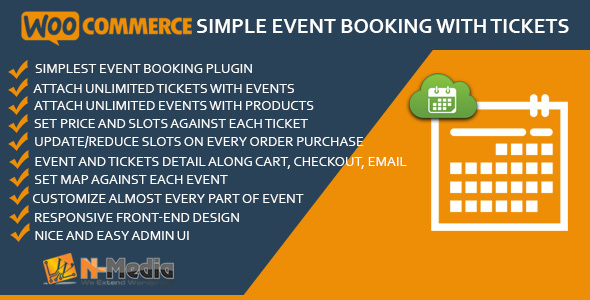 This plugin is Simple solution to create Events and Ticket with WooCommerce Products. 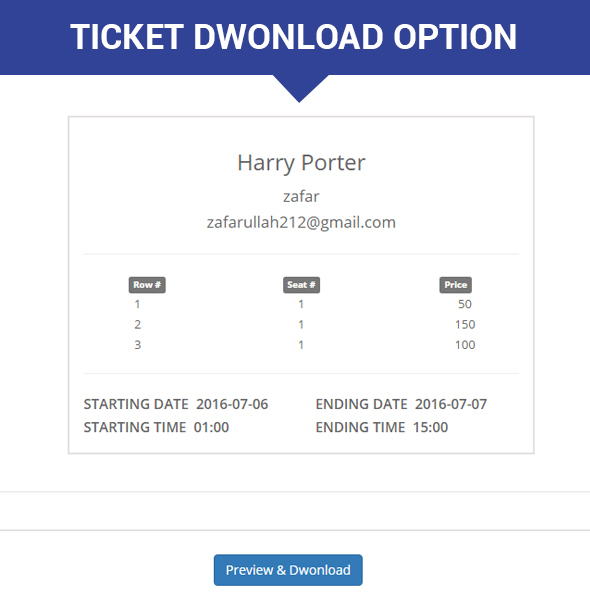 Unlimited Events can be attached against one Product and each Event can have unlimited numbers of Tickets. 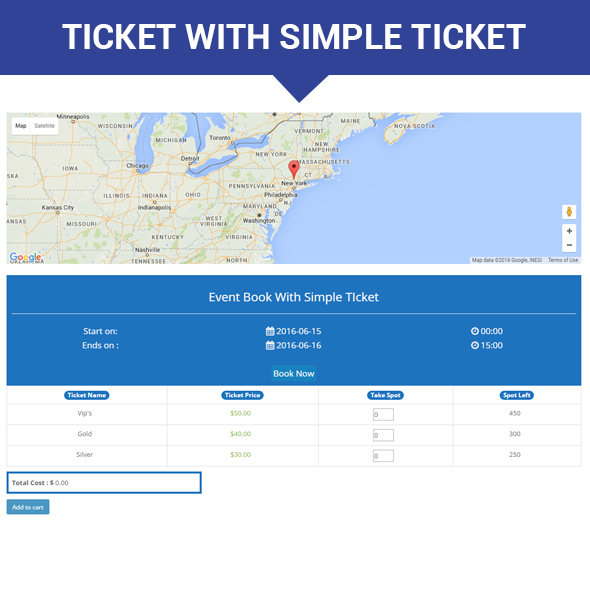 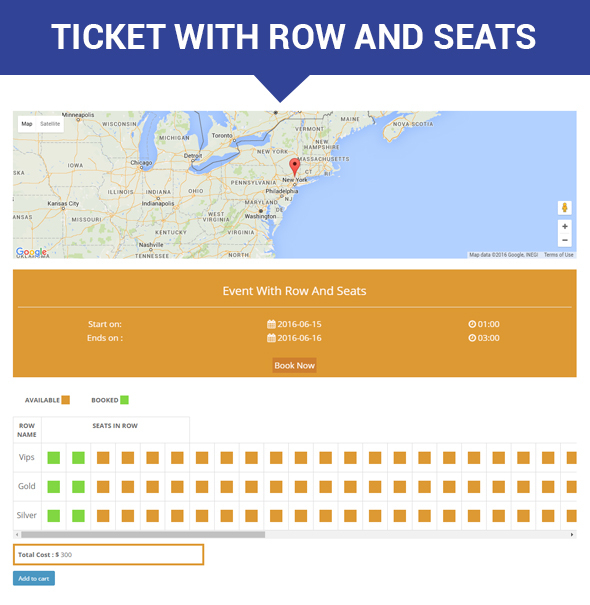 Price and Spots/Quantity of Tickets generate total price of Event(s), it’s then add to cart and all Event Meta is sent Cart, Checkout and Email. 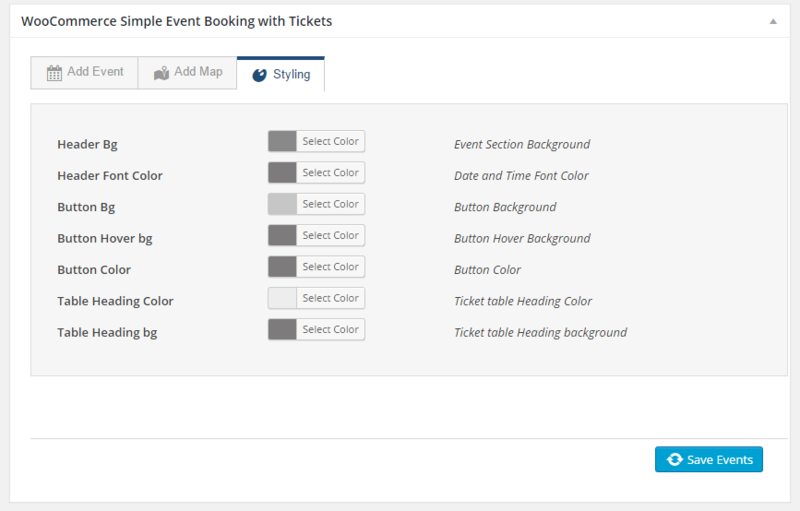 Even Map can also set using Latitude/Longitude.